Cynthia Obie was riding high after winning thousands of dollars on a slot machine at MGM National Harbor Casino. Unfortunately, she left without anything after a casino mistake. National Harbor officials wrote down her social security number incorrectly. She was unable to claim her prize as a result. Obie didn’t disclose the exact amount of the payout. But it sounds to have been worth in the upper five-figure range or higher. Following the win, she gave casino officials her ID and personal information. All American casinos require these effects before paying a jackpot. The casino messed up, though, by writing down the wrong social security number. It turns out that the number belonged to a Maryland resident who owes a lot of child support. The winnings were immediately confiscated. And it’s clearly the casino’s mistake. Will Cynthia Obie Get Her Slots Winnings? MGM officials may have screwed up. But they’re not doing anything to help the situation now, saying it’s out of their hands. Obie must now contact the Maryland Gaming Control Agency. The hope is that she can sort out the situation from here. 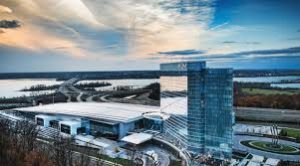 MGM National Harbor apologized for their blunder and gave Obie $200 in free play. This isn’t enough to make up for the prize she’s due, but it’s at last a start. “We are aware of this unfortunate error and have taken the necessary steps to assist Ms. Obie in rectifying this issue,” a casino official stated.